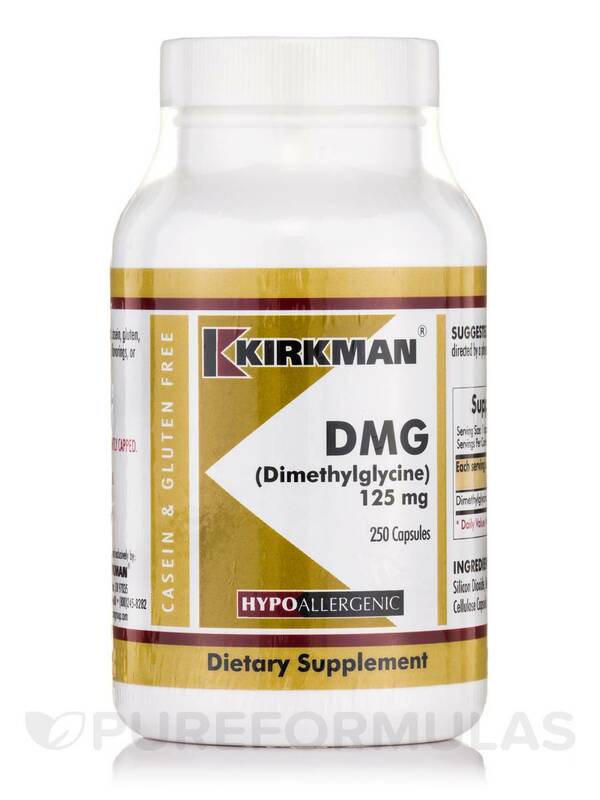 Kirkman’s DMG 125 mg is a good source of DMG (dimethylglycine)‚ which is a substance that may work to maintain overall well-being in several ways. First‚ DMG is a methyl donor that could potentially aid in the production of certain brain chemicals. 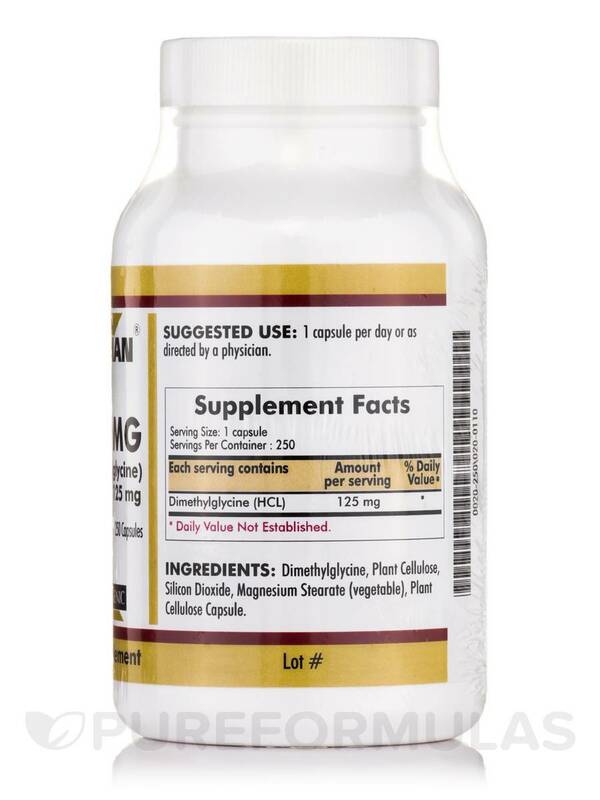 As a result‚ a supplement like DMG 125 mg might work to regulate mood and cognitive function. 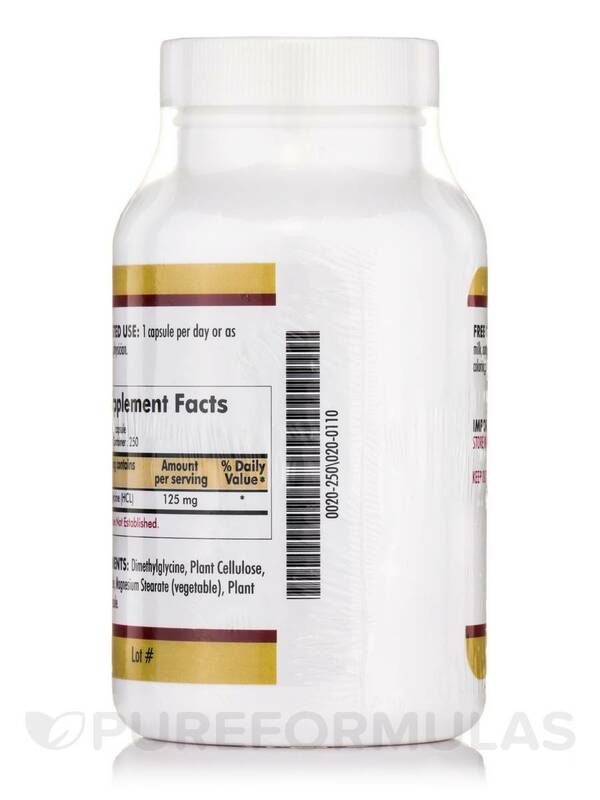 Furthermore‚ DMG 125 mg may be involved in maintaining optimal cardiovascular function. Specifically‚ dimethylglycine could potentially work to preserve already healthy homocysteine levels‚ which is important because high homocysteine levels might damage the inner lining of the arteries and contribute to excessive blood clotting. 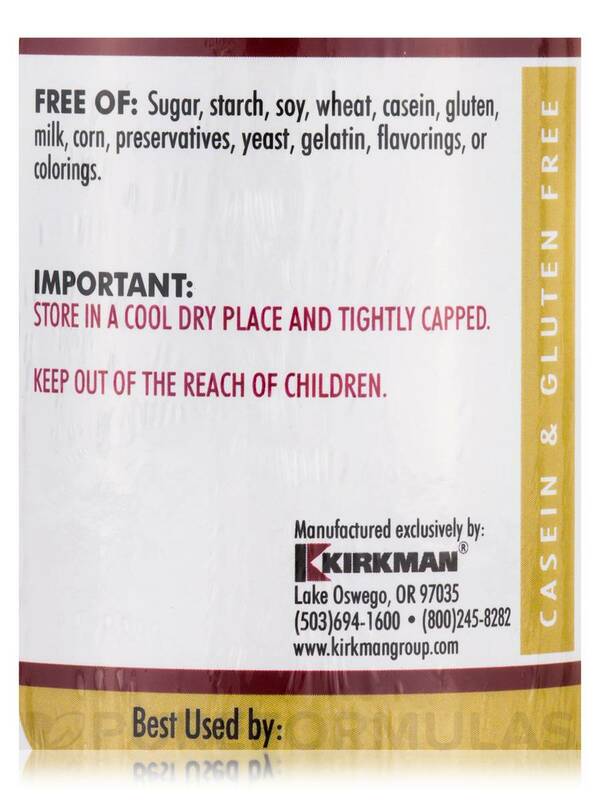 Last‚ Kirkman has formulated this supplement to be free of common allergens (including gluten and casein) as well as artificial preservatives‚ colorings‚ or flavorings. 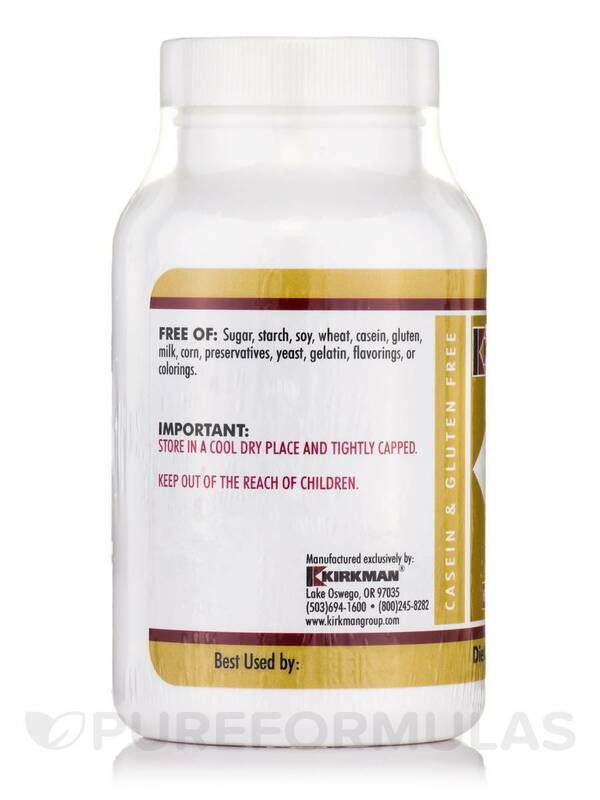 At the recommended serving size of one capsule daily‚ each 250-capsule bottle of DMG 125 mg by Kirkman should last for over eight months. 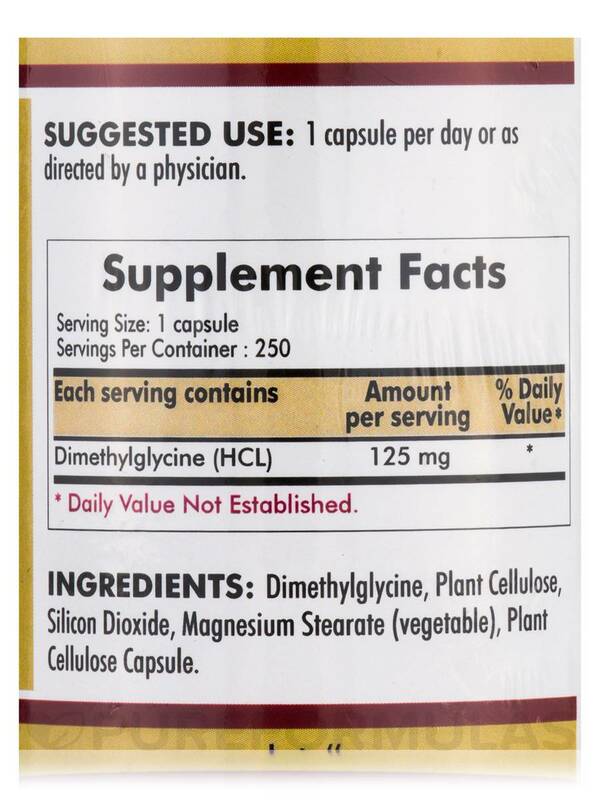 Dimethylglycine‚ Plant cellulose‚ silicon dioxide‚ magnesium stearate (vegetable)‚ plant cellulose capsule.